Please note that these are a mix between Overstock Items, Shelf Pulls, Seasonal Items, and Store Return items, mostly still in retail packaging. We have not tested or inspected these items to any extent. This Listing is for the full pallet (Approx. 122 Items). Not separate items. 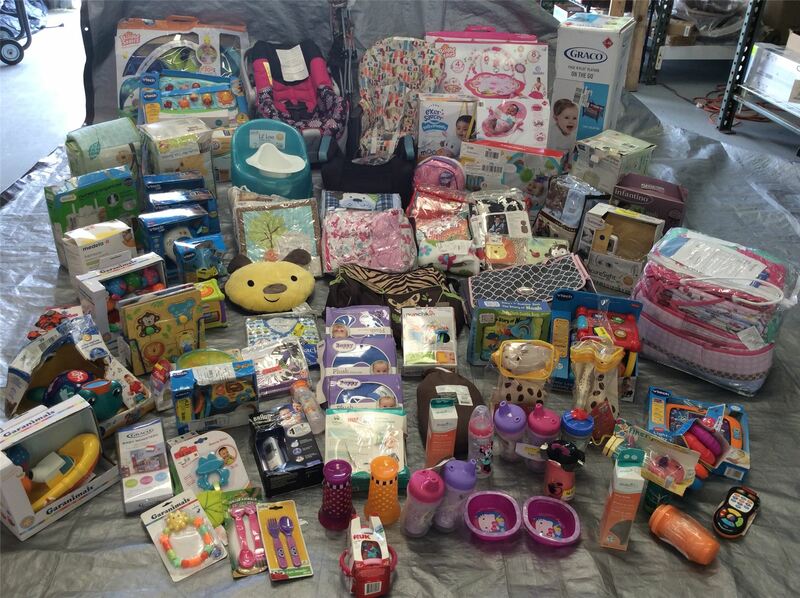 The pallet includes a mixture of the following items: Diaper Bags, Strollers, Pack and Plays, Car Seat, Booster Seats, Crib Bedding, Breast Pumps, Sippy Cups, V-TEch Learning Toys, Excersaucer, and More. The Brands included in this pallet are a mixture of: Bright Starts, Braun, Granimals, Evenflo, V-Tech, Medulla, and More. Click the button below to add the Wholesale Lot of Assorted Baby, Infant, Toddler Accessories Approx. 122 Pieces to your wish list.